In 1965, the Hague Conference on Private International Law drafted the Apostille Treaty, which said that a legal document issued in one territory would be considered valid in any other foreign territory as long as both nations were signatories of the treaty. In order to do this, the person seeking to utilize the legal document must provide an apostille, or international certification, which is essentially equivalent to a notarization—and in fact, usually supplements the local notarization of their original document. This apostille certifies the validity of the legal document to the foreign government, on behalf of the local government, and allows for its legal use in that country without further certification by both countries. It can be a confusing process—luckily, Translation Cloud is here to help make things simple for you! Let us worry about the details while you focus on the big picture. What types of documents are covered by apostilles? What is involved in the apostille translation process? In order for your documents to be accepted at your destination country, you'll need to provide them with a translated copy and a translated apostille for proper processing. 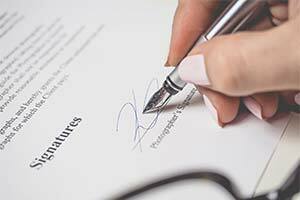 This involves a certified translation that is signed and notarized—we'll take care of that for you. Translation Cloud employs thousands of translators around the globe, all with various specializations and professional experience. We'll match you up with a translator who can not only provide a high-quality translation of your text, but has legal translation experience and knows all of the correct terminology to get your apostille translated, along with your other documents, quickly and correctly the first time. And getting it right the first time is important, because if there's an error when trying to submit translated apostille and legal documents, it's going to cost you a lot of time and money to get it fixed before you can try to re-submit them again. Don't make workng with apostilles any more difficult than it already is—get in touch with us now to get your certified apostille translation started right away, and give yourself one less thing to worry about! Contact us today for more information on how our apostille translation services can help you now!